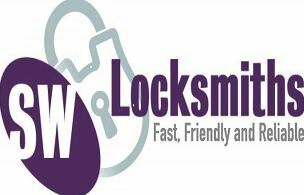 Here at Southwest Locksmiths we aim to provide the full security service for home and business to Dumfries and Galloway and Ayrshire. We like to think of ourselves as more than just a locksmith in the traditional sense. Of course we will get you into your house or shop if you are locked out and ensure that your physical security meets your insurance companies’ requirements. This is an important part of our work. We even have a page on the site to help you check your home security. However, technology is always changing and we like to keep up with those changes. We can advise on and install the latest ip security cameras, wireless alarm systems and access control systems. Through links with our sister company Southwest Satelliite Solutions we can even provide you with a satellite broadband connection should you need it. We can also help with your home or office network to ensure that you make the most of the security technology available. We hope you find our website useful and informative. If you have any questions at all please contact us. One of our engineers will be happy to help. Stranraer, Newton Stewart, Gatehouse of Fleet, Glenluce, Castle Douglas, Kirkcudbright, Whithorn, Dalbeattie, Dumfries, Girvan, Ayr, Maybole, DG postcodes, KA postcodes.